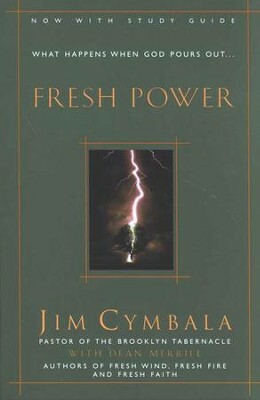 I read the last book in the Fresh Wind, Fresh Fire; Fresh Faith; and Fresh Power series. The photo is from Christian Book Distributor and the book is copyrighted in 2001 by Jim Cymbala and published by Zondervan. Jim Cymbala and Dean Merrill wrote it. A friend of mine from out-of-state recommended his books. 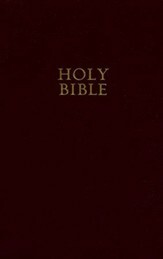 What a treasure those tomes became to me. At times, I didn’t want to finish the last one. It was either because I didn’t want the insights to end or because the enemy of my soul didn’t want me to finish reading it. There’s lots of meat in those books. The last one reiterates what I’ve felt for years. The Holy Spirit wants to empower Christians if we’ll only take the time to seek God, to repent of our sins, to ask Him to lead us and help us to obey. There’s probably four verses in that last sentence: 2 Chronicles 7:14, Matthew 10:28, John 15:16, and John 15:4. Anyway, God is able to deliver us from evil and help us through difficult times. There seems to be lots of Christian songs lately talking of holding onto God during hard times. Laura Story, Crowder, and Mercy Me are just a few of the artists portraying God’s love in the midst of hardship. I hope you’re reading some great books. Last week, my husband and I drove a couple of hours north to see our children and grandchildren. The eight year old got placed in the defensive section of the soccer field after having had a taste of offense and the heady experience of kicking the ball into the goal. I noticed he stopped an aggressive players well placed boot which would have caused another scored point. He effectively sent the black and white sphere in the opposite direction to one of his waiting teammates. She played soccer for many years, even though at a young age she wasn’t sold on the sport. Her dad asked to stay on the team for the season and then if she didn’t like it, she could quit. She is our oldest and I was inclined to let her off the hook. When he explained that her team was counting on her, it made sense to me to have her stick it out. She agreed and after a few more games, she fell in love with the sport. I forgave the coach, but I saw him at a meeting once and he came across as a person that made up his mind and there was no changing it. I felt better after she explained the circumstances. Then the next year she tried again, and that coach apologized to me for having to cut her. She went to a smaller college in her freshman year and they put her on the team, so I rejoiced with her. As I watched her oldest face competitors, he took it all in stride. I don’t know whether he’ll continue playing soccer or if he’ll go for swimming like his dad. He loves to read and he’s a deep thinker, so he may not pursue sports at all. Only God knows what his future holds. All I know is that I’m privileged to be a grandma. This photo is from: https://pictures.abebooks.com/isbn/9781594862748-us.jpg. 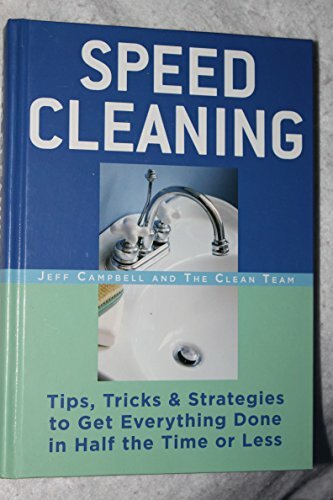 I thought I’d start a blog about cleaning and use a quote I got from a book in our library called Speed Cleaning. The book was published by Rodale Press in 2005 and written by Jeff Campbell and the Clean Team and copyrighted from 1985-2016. Their website sells some products for less cost than those that I bought elsewhere. I obviously don’t know the quality, but that was impressive. Their website is www.speedcleaning.com. I can’t give the author’s exact quote, but it was about being mindful of what I’m doing when cleaning so I’ll enjoy it more. Keeping focused on where I’m standing, what is nearby so I don’t trip over it, and paying attention to what I’m doing throughout the job came up as well. I’ve heard it said that people find fulfillment in whatever they’re doing if they give full attention to the activity (if it’s not a painful thing). So, when cleaning the refrigerator if I concentrate on the fingerprints disappearing and a shine taking their place, the endorphins in the brain should get released, right? On another subject, on Saturday night, I made a mayonnaise cake and when I finished it, it felt so good to see it completed and not sagging in the middle. I went to bed after blogging about it. At midnight, my husband noticed it sank to the middle but he didn’t want to disturb my rest. One of the ladies at our church is such an encourager. She told me it really didn’t look bad. I ended up running out of mayonnaise and used a substitute vegan style for the last half cup. I ran out of white sugar and used a little less brown sugar instead. It tasted the same as normal and looked similar. I ate a bit too much of it, so I put the left overs in the freezer. Out of sight, out of mind. That’s one food item I don’t want to be mindful of. I gained weight after eating it two days in a row. Do you have something you’re struggling over? 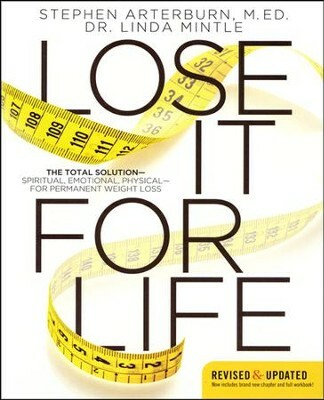 I remember reading a book on weight loss by Steve Arterburn some years back. He took time to taste his food and enjoy the meal. This is a more recent book by him that I haven’t read, but it sounds good. 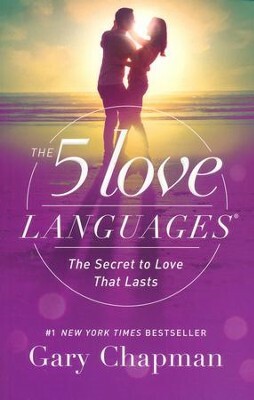 This photo is from: https://www.christianbook.com/solution-spiritual-emotional-physical-permanent-weight/stephen-arterburn/9780849947261/pd/947260?event=ESRCG#CBD-PD-Description. I believe it’s an updated version of the book I read with more offerings: exercises and other beneficial information. I hope you are keeping your eyes on Jesus in this world with the turmoil and with the good. I heard my daughter read some Psalms today after telling me she’s concerned about her elderly and much loved cat. He’s not eating well. God’s Word is a comfort. She’s experiencing His peace in the midst of her trial.